Well, it’s been an… interesting week, to say the least. I’m not going to get political on this website, because I think the world deserves a little happiness where you can dwell beautifully and not focus on negative things for a little while. What is positive right now? The holidays are coming up! I can’t wait for the Friendsgiving we are celebrating on Sunday and then actual Thanksgiving in a couple weeks. The dining table is a great place to gather with loved ones and celebrate everything you’re thankful for. In honor of holiday meals, this month’s Silhouette Creator’s Challenge is all about dining-related items! 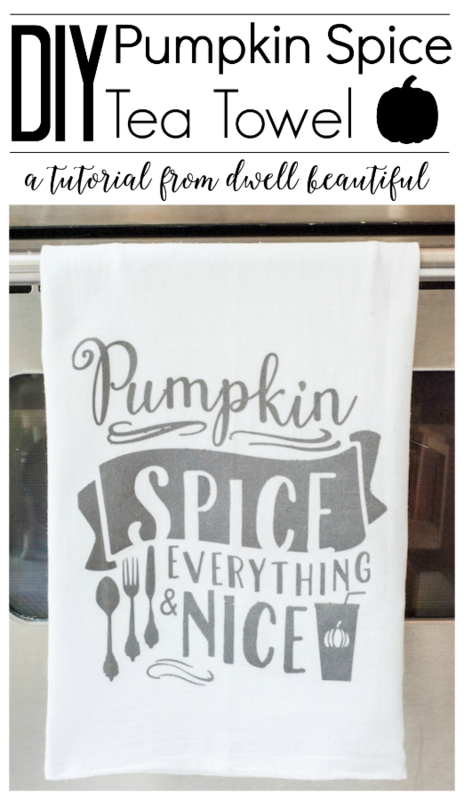 Previous challenges include: Harry Potter t-shirt, British phone booth art, Coldplay lyric tote bag, crochet hook storage box, beach finds treasure bag, pumpkin spice tea towel, and a Hello Fall mason jar vase, so be sure to check ’em out after you read about my DIY utensils holder below! Open up this design in your Silhouette Studio software and size it to fit your canister. Using a font of your choice, type out the word “UTENSILS” and place it in the middle of your design. Once you have everything sized properly, head on over to the cut menu and set your settings for adhesive vinyl! Insert your vinyl into your CAMEO and hit “Load Media”. Back in your software, hit “Send to Silhouette” and watch it cut away! Remove your vinyl from the Silhouette machine and weed out your design – easy peasy! This kind of DIY utensils holder is great for keeping all your forks, spoons, and knives handy at the dinner table or if you’re having a backyard picnic. I decided to keep my on the lazy susan we keep in the middle of our dining room table so we can grab whatever cutlery we need without going back to the drawer! I love how all of my silverware fits neatly inside. I could even switch out my metal cutlery for plastic ones and bring this canister out to a barbeque or family event. Easy peasy! I love it! It looks great. Very cute and functional. Summer is already getting close to ending and the school year is just around the corner, if it hasn’t already started in your area….